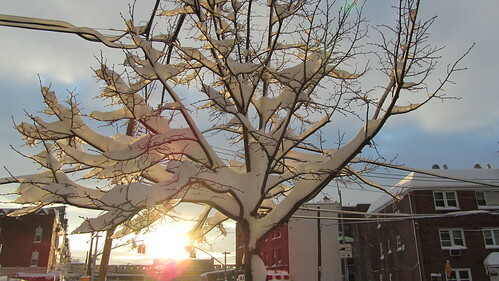 Things look prettier when they are covered in snow even things that are already innately beautiful and especially things that you don’t often take the time to notice like the pretty tree above with the perfect light shining through its branches. I’m glad I took an extra few seconds to preserve this. It’s an odd juxtaposition then that all this beauty is swiftly plowed away and either pushed up into great snow mountains on the curb or trucked off to be melted. 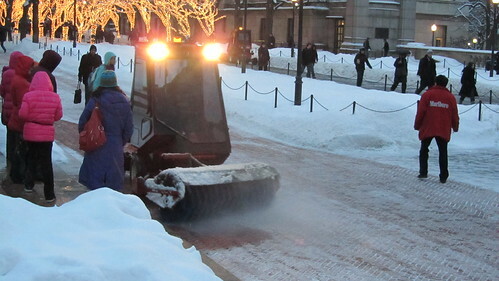 After a nice snowfall you start to notice people dressed for labor and carrying a shovel over their shoulder. They are just out there trying to earn some extra cash by digging someone’s car out of the street or by clearing someone’s sidewalk. I have to respect the concept of earning an honest dollar for honest labor. This brings me to the mighty snow plow. They come in all sizes from the varieties pictured above to dump-truck-sized-front-loader-type plows. No matter the plow size most people know to stay out of their line of fire snow. The little one on the top left nearly took out a small group of people while one of the jumbo ones nearly took me out as I tried to snap a photo of it. Needless to say all I got was a blurry shot of the night. I’ll get it next time. 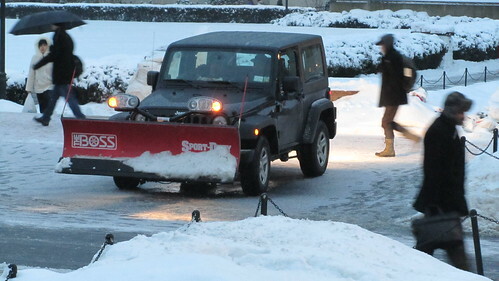 This entry was posted in everything i've blogged, observations and tagged plow, pretty, shovel, snow. Bookmark the permalink.